Welcome to Sycamore Hill Gardens, the home of George and Karen Hanford and originally a fully functioning dairy farm with over 300 head of Jersey cattle. Sycamore Hill Gardens is now nearly 40 acres of diverse trees, shrubs, perennials, and spring flowering bulbs. The gardens are divided into a variety of distinct areas and include Asian and European statuary as well as koi ponds, stonework, a formal garden, a hedge maze and several large open spaces with expansive views. We have planted the majority of our remaining farmland with over 10,000 native trees, 10,000 native shrubs, and 180 acres of grassland to create wildlife habitat. This turned close to 300 acres of our former cropland into one of New York State’s largest Conservation Reserve Program sites and is hopefully helping honeybees as well as our native bee population. We originally designed, planted, and maintained the gardens ourselves, with the very welcomed help of family, friends, and community neighbors. Currently, we rely on the amazing efforts one full time person, and any part timers and volunteers who come our way. For the time being, we don’t sell anything or offer any services but we do open Sycamore Hill Gardens several times a year as a fundraising venue for the benefit of local nonprofit organizations such as Baltimore Woods Nature Center and the Central New York Land Trust. Some key contributors to the garden’s success have become dear friends and we highly recommend them to anyone who shares our love of gardening and the natural world. 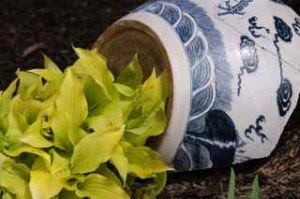 Sycamore Hill Garden uses Rawlings Nursery for our specialty hosta selections. 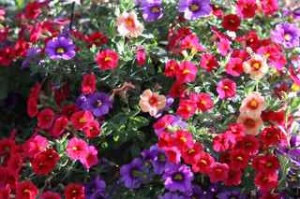 Please visit Rawlings Nursery, by appointment only, at 12061 Monitor Mill Road, Ellisburg, NY 13636, https://www.facebook.com/RawlingsNursery/ or give them a call at (315) 638-1415 in Baldwinsville or (315) 846-5265 in Ellisburg, or visit them at: www.rawlingsnursery.com. Our beautiful koi are from all over the world, but they come to us through our good friends over at Pond View Koi. Visit Pond View Koi at 1958 Vandervort Hill Rd. Unadilla, NY 13849. 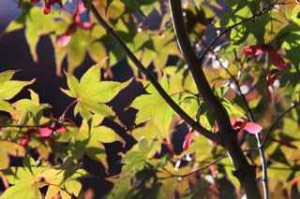 Please call for an appointment, (607) 369-4060, or visit their website: www.pondviewkoi.com.